Home Tags Posts tagged with "celebrity big brother"
The past few months have been very exciting in the world of reality television, as BBC was made to reveal they pay an exuberant salary of £450,000+ to their onscreen stars. There was a lot of chatter about just how much money, £75m to be exact, channel 4 paid to poach the “Bake Off” from the BBC network. Many were unhappy about the move, and while BBC conceded it could not match the offer from Channel 4, they will be buoyed up with the news that Mel, Sue, and Mary Berry have decided to remain loyal to their original employers. Channel 4 could soon be sweating over the money they’ve spent, after many fans vowed to switch off and never tune in again. £75m down the drain? Only time will tell. With all of these juicy details in mind, leading credit broker Cash Lady has delved into the realms of reality TV, to reveal just how much BBC, ITV, and Channel 5 spend to get celebrities on their shows – Strictly Come Dancing, I’m A Celebrity, Get Me Out Of Here, and Celebrity Big Brother, and the results are staggering. Starting with the show that sees celebrities flown out to a jungle, ITV was initially cagey about how much they spent on their superstars, but later revealed salary packages ranging from £70,000 – £300,000 per annum! Not only that the celebrities were allowed to make large donations to a charity of their choice, had their tickets to and from the jungle paid for, and received bonuses. While the total costs remain unknown, what is certain is that Aunt Bessies was charged an incredible £6,000,000 for a three year sponsorship deal! While the show sees 14 celebrities and a whole host of other staff involved, Channel 5’s spending is markedly more reserved than that of ITV. The total sponsorship deal comes out to roughly £2,500,000. The salary packages range from £12,000 to £150,000, the latter of which was controversially offered to Christopher Biggins, who was later kicked out of the show for inflammatory comments. The BBC was the only broadcaster of the three to disclose the entire pay structure for their programme, and have the lowest bill at £800,000. All celebrities start out with a basic pay of £25,000, that increases to £40,000 for the next round, £60,000 for reaching the quarterfinals, £75,000 for the semifinals, and a grand £100,000 (plus the trophy) for the winner! The breakdown for the show and the other two is given in the infographic below. What are your thoughts on the jaw dropping packages being paid to the reality stars? Read up more on the reveal here. Liza Minnelli’s ex-husband, David Gest, has died in a London hotel aged 62, a statement from his friend Imad Handi says. The entertainer, producer and reality TV star died at the Four Seasons hotel in Canary Wharf. David Gest’s friend and ex-bodyguard Imad Handi confirmed the news in a statement. The entertainer had planned to tour the UK in July with his latest show, called the David Gest Is Not Dead But Alive With Soul Tour! Several singers were due to appear on the tour, including Dina Carroll and Freda Payne. The show was named after the mix-up on this year’s Celebrity Big Brother, when Angie Bowie informed Tiffany Pollard that David – meaning her ex-husband Bowie – had died during their time on the reality show. Tiffany Pollard broke down in tears believing David Gest, who was ill in bed at the time, had died. David Gest stayed in the Celebrity Big Brother house for 13 days but left the series on medical grounds. In 2007 he was admitted to hospital with chest pains and respiratory problems. One of the biggest successes during his career was producing the highest-rated special in US music history – 2001’s Michael Jackson: 30th Anniversary Celebration. David Gest was perhaps best known for his marriage to Liza Minnelli. They were married in 2002 and officially divorced in 2007. He was also a childhood friend of Michael Jackson and his brother Tito. His name-dropping anecdotes and raucous tales of showbiz friendships during his appearances on reality TV shows won him legions of fans in the UK. David Gest finished fourth in ITV’s I’m A Celebrity… Get Me Out of Here in 2006, and later became a judge on talent show Grease Is The Word. In 2011, Cliff Richard worked with David Gest on his album Soulicious. David Gest helped develop the concept of the album, which saw Cliff Richard collaborate with soul singers including Roberta Flack and Candi Staton. He later produced and directed the Soulicious tour. Imad Handi, who confirmed the news of David Gest’s death, described him as a “huge talent”. “David was truly larger than life. He was not just a huge talent and a dear friend but a showbiz icon. A Metropolitan Police statement said: “Police were called at 10:17 on Tuesday 12 April to the Four Seasons hotel, in Westferry Circus to reports of an unexplained death of a man in his 60s. Police have said there appear to be no suspicious circumstances. David Gest was born on May 11, 1953, in Los Angeles, California. He worked as a music video and TV producer. He released an autobiography, titled Simply The Gest, in 2007. David Gest’s appearance often hit the headlines, and he said having cosmetic surgery was his “biggest regret”. For the last few years of his life David Gest lived in York – shying away from his former lifestyle in LA. David Gest married actress and singer Judy Garland’s daughter Liza Minnelli in 2002 in a star-studded wedding at New York’s St Regis hotel. The couple’s 300 guests included Michael Jackson, Joan Collins and Martine McCutcheon. Michael Jackson was the best man at the ceremony, arriving with matron of honor Elizabeth Taylor and Diana Ross. His brothers Tito, Marlon, Randy and Jackie were among the groomsmen. Martine McCutcheon, together with actresses Mia Farrow and Janet Leigh and singer Petula Clark, was a bridesmaid at the ceremony. 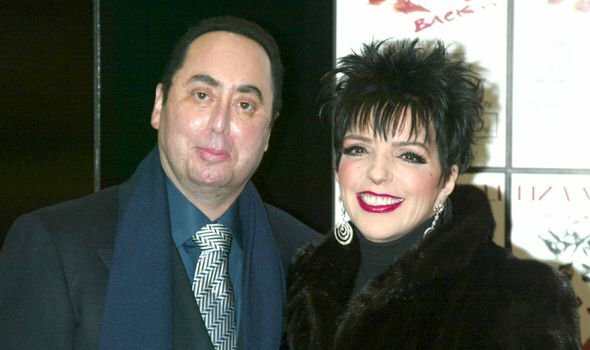 David Gest and Liza Minnelli announced their separation a year later and divorced in 2007 when their lawyers filed court papers saying they had settled their differences and agreed to get divorced without fault. 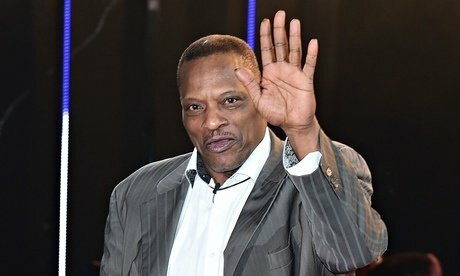 Alexander O’Neal has quit the UK’s Celebrity Big Brother show. The soul singer is the third contestant to leave outside the house’s usual elimination process. Alexander O’Neal had been given a formal warning by producers on January 17 for using homophobic language aimed at celebrity blogger Perez Hilton. Although he apologized, the singer has now opted to leave the house. Jeremy Jackson and Ken Morley were previously removed from the house over their behavior. Alexander O’Neal’s departure follows a dispute between him and Perez Hilton, in which the singer accused his housemate of deliberately provoking him. A short message from Alexander O’Neal was read to those remaining in the Big Brother house, which read: “To all my housemates, I’ve had a great experience with you guys and I have mad love for almost all of you. Baywatch star Jeremy Jackson was thrown off the show after pulling open another contestant’s dressing gown, exposing her. He later received a police caution for common assault. Former Coronation Street actor Ken Morley was removed from the house for using racist language while in conversation with Alexander O’Neal. Speaking after his dismissal, Ken Morley accepted he had used “an outdated expression”, but denied he was racist. Model Chloe Goodman, who was involved in the incident with Jeremy Jackson, is so far the only contestant to be evicted by public vote, leaving the house on January 16. Helping to make up the numbers of the departed celebrities, Katie Price entered the house on Friday. Former Baywatch star Jeremy Jackson is being investigated by police after he was thrown out of the UK’s Celebrity Big Brother house. Jeremy Jackson, 34, was removed after contestant Chloe Goodman said he opened her dressing gown, exposing her breast. Hertfordshire Police said it was aware of events on the Channel 5 show in the early hours of January 10. Ken Morley was also removed, following complaints to the UK’s Ofcom about the use of racist language. Channel 5 said the former Coronation Street star was taken out of the house for using “unacceptable and offensive language”. Hertfordshire Police said officers were working with the show’s producers to investigate the circumstances of the incident involving Jackson. Trouble started on the show, filmed at studios in Borehamwood, Hertfordshire, when Jeremy Jackson got drunk and vomited in the toilet. Producers decided to remove the actor from the show, calling his behavior “wholly unacceptable”. Cameras do not film in the toilet of the Big Brother house, but the aftermath of the row was shown in Saturday night’s episode. It showed a tearful Chloe Goodman being comforted in the Big Brother diary room by fellow housemate Nadia Sawalha. Later, Jeremy Jackson was called to the diary room to be told he would be leaving the show. Charlotte Crosby won this year’s Celebrity Big Brother, but the world found out 30 minutes before the official announcement. A BBC journalist and Sky News shared the front page via their Twitter account, which was met by confused replies from fans of the show. Author Emma Kennedy found it amusing that the Daily Star – which is owned by the same company as Channel 5 which broadcasts the show – could make such a faux pas. 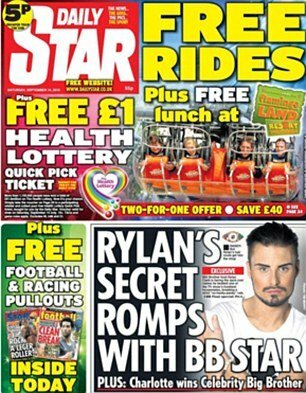 The first episode of Celebrity Super Spa aired at 10 p.m., directly after the first part of the the CBB Final. During the hour break, the channel recorded Charlotte Crosby’s win and exit from the house as well as the following interviews of the Geordie Shore star and runner-up Abz Love with host Emma Willis. This was then ready to air at 11 p.m., but an apparent miscommunication between Channel 5 and The Daily Star led to the winner being revealed half an hour before it was meant to be aired. While the Live Final was pre-recorded, the phone lines had been closed at 10 p.m. It appears Bobbi Kristina Brown has dropped out of Celebrity Big Brother. 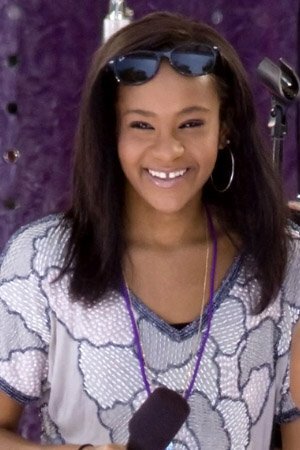 According to The Sun, Bobbi Kristina Brown, 20, had withdrawn from the program after receiving online abuse after the news broke that she was going in the house. The paper also quoted a Channel Five insider as saying that despite having a large budget, they are having problems attracting the big US names they need to get the big ratings. Whitney Houston’s only daughter last month shocked fans when she announced her engagement to Nick Gordon, the boy Whitney raised as her own son, making him a brother of sorts to Bobbi Kristina Brown. Their relationship has been the subject of much controversy and scrutiny given that the couple essentially grew up as siblings. Bobbi Kristina’s father Bobby Brown stated that he was not happy with the news and berated Nick Gordon for not asking for his daughter’s hand in marriage. So far, other names that have been linked with this year’s Celebrity Big Brother includes ’90s RnB star Mark Morrison and Dustin Diamond, who played Screech in 90s TV show Saved By The Bell. And whilst they were both big stars in their heyday, they’ve largely faded into obscurity ever since. Celebrity Big Brother is due to air on Thursday and is rumored to also be featuring disgraced former football commentator Ron Atkinson, model Sophie Anderton and Geordie Shore’s Charlotte Crosby.